Clinical Sports and Remedial Massage Therapy. A combination of massage, neuromuscular/muscle energy techniques, and soft tissue release that targets your muscles, tendons, ligaments, and fascia which may have become compromised for many reasons resulting in pain and dysfunction. Specialised treatments will improve range of motion, balance, flexibility, power and advice on rehabilitation to improve performance and function in sport and everyday life. Provides runners with essential information about their running style. It is a particularly valuable tool for those runners, at whatever level, who suffer with repeat injuries. Gait is assessed, as well as functional strength, and drills and focused rehabilitation is given to help fine tune running technique and address any muscle imbalances. Sports and Remedial Massage Therapy, also known as Soft Tissue Therapy, is a type of treatment that works with the soft tissues of the body – the muscles, fascia, ligaments and connective tissue. Soft Tissue Therapy helps alleviate and correct the aches & pains, injuries and trauma from sport, work or life. It can help in the recovery, rehabilitation and prevention of further injury to the muscles and soft tissues of the body. Anna was my last hope to relieve the pain of my arthritis and a previous slipped disk resulting in muscle spasms in my lower back. After a few treatments with Anna, I was a different person. The pain subsided & running was something I could contemplate again. Anna has “magic hands”, and puts you at ease straight away so that you can really communicate how you’re feeling which helps her to figure out what’s wrong and get you on the road to recovery. June 15 I dislocated my ankle and broke my lower leg whilst hill walking; Anna’s been focusing on my ankle and general leg and back issues. I’ve found her treatments to be excellent and very thorough. My flexibility has really improved and I have been able to run, and now triathlons. I found that her background in running and triathlon really helped her to relate both to the injuries and what I was trying to achieve regarding my longer-term rehab. Anna’s great! After months of pain and not able to run, Anna has got me back on the road, can’t recommend her enough! 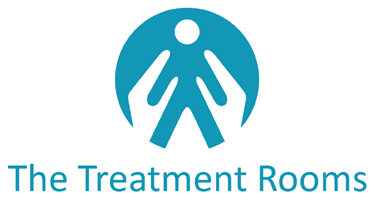 I’ve been using the treatment rooms regularly to assist me with my running injuries and other niggles. Anna is extremely professional and friendly. After a thorough consultation, Anna goes to work to fix me and has given me advise/exercises to assist my recovery. Highly recommended. I had a fantastic treatment from Anna. She located some tight spots and knots, and my back and shoulders feel much more relaxed now. Very friendly and professional. Highly recommended! Anna Gardiner is a Clinical Sports and Remedial Massage Therapist, qualified at the highest level of Soft Tissue Therapy. A keen runner and triathlete, Anna treats people from all walks of life, as well as those involved in sport at all levels of competition, from beginners to those competing nationally. She is also a Sports Massage Therapist for Trowbridge Rugby Club.